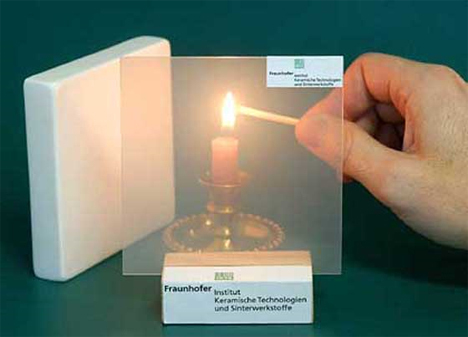 Star Trek fans will already be familiar with the concept of transparent aluminum – but who knew it really exists? The fantasy material isn’t fantasy anymore. It’s here, it’s clear, and it’s completely awesome. Transparent aluminum was created in a lab at Oxford University by blasting thin aluminum foil with the world’s most powerful soft X-ray laser. The flash knocked out a core electron from each aluminum atom without affecting the metal’s structure. The resulting material is not only useful for fun product packaging and (maybe) re-enacting Star Trek IV, but it can also help scientists understand nuclear fusion a little better. Unfortunately, transparent aluminum is extremely costly to produce, and the transparent effect only lasted an extremely short amount of time in the lab. But scientists are excited about the possibilities a discovery like this suggests. The fact that they were able to create a transparent material using X-rays is akin to creating a whole new state of matter, which apparently sciencey types get really excited about. Hopefully, we’ll even see items packaged in or made of super-strong transparent aluminum rather than the boring plastic or humdrum non-transparent aluminum we’re using now. 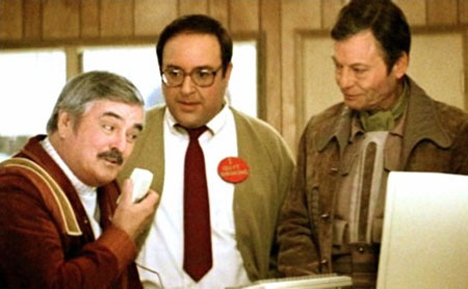 Maybe we’ll even be able to save the whales, just like in Star Trek. Thanks, Scotty!